Inspired by the recent crop of super hero movies (we assume), some individuals have taken to dressing up as super hero vigilantes and taking to the streets. Sometimes they have the approval of the local police, sometimes not. But at the end of the day, these are every day people trying to keep their hoods safe – they just go about it in very odd ways. In order to help combat the high crime rate in the city of Taubaté, Batman has come to Brazil. Retired police officer Andre Luiz Pinheiro has dressed up as Batman to help encourage kids to walk the good path. Taubaté is located in the state of Sao Paolo, where police hope to secure the trust of young people, using Batman as a symbol. The idea is to create a positive association between Batman the the police. This ninja who patrols the streets of Yeovil (Somerset, England) calls himself the Shadow, but his real name is Ken Andre, a 33 year old expert in martial arts and father of two. In case you are wondering, The Shadow’s sword isn’t a real one; it’s just made of foam (much to the relief of local police). 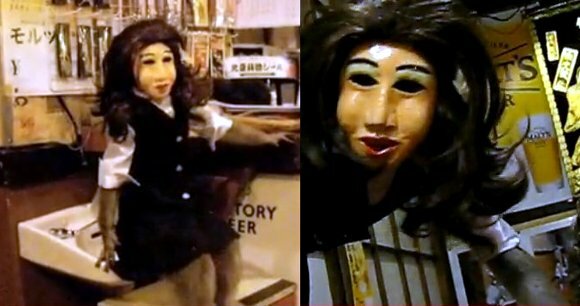 Most of the time when people see me, they kind-of laugh. The reaction I get is exactly what I wanted when I made the suit. I made it kind-of comical. Because if I can stop a fight by simply showing up in a cape and saying ‘Hey, Stop!’ like a comic-book character, and they actually stop, then the problem is solved. And no one got hurt. Phoenix Jones has gotten into more than one scuffle, and has been injured on occasion, but he is reluctant to talk about it. His weapons/tools of choice include a taser nightstick, net gun, grappling hook, handcuffs, and pepper spray. He also has a Dragon Skin bulletproof vest and stab plating. Jones isn’t a lone crusader. 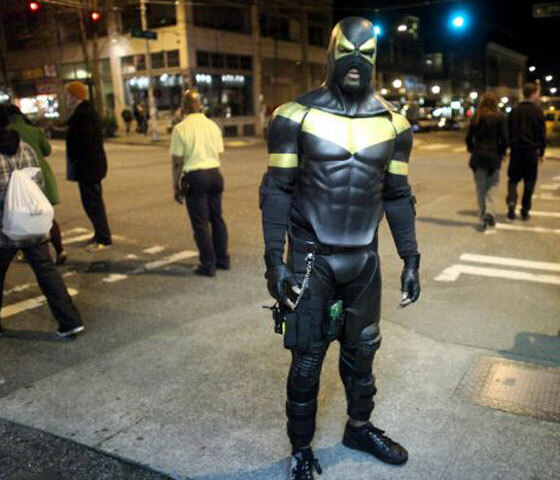 He’s the member of a group called the Rain City Superhero Movement, based in Seattle and Lynnwood. All members, including Fodor, have either military or mixed martial arts backgrounds. Some members are: Thorn, Buster Doe, Green Reaper, The Mantis, Gemini, No Name, Catastrophe, Thunder 88, Penelope, and Red Dragon.